We want those of you who are attendees to the NACEP National Conference for the first time to get as much out of the experience as you can. 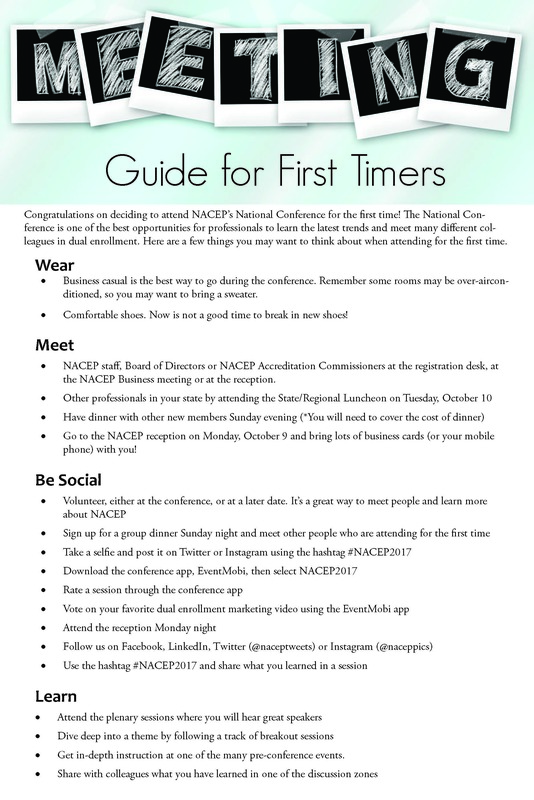 So, the NACEP staff developed a first timer's guide to the conference that you can download here. And, in order to help you make a few friends before the first full day of the conference, we made some dinner reservations at a few nearby restaurants. Sign up here. If all the reservations are full, please contact us so we can make more reservations. (*Please note the cost of the dinner is on your own).